Home » News » Steamboat Bentley? Do you remember when I went on the SSMB and suggested people draw a 1920’s All-Stars Racing cast in the style of Steamboat Willie? 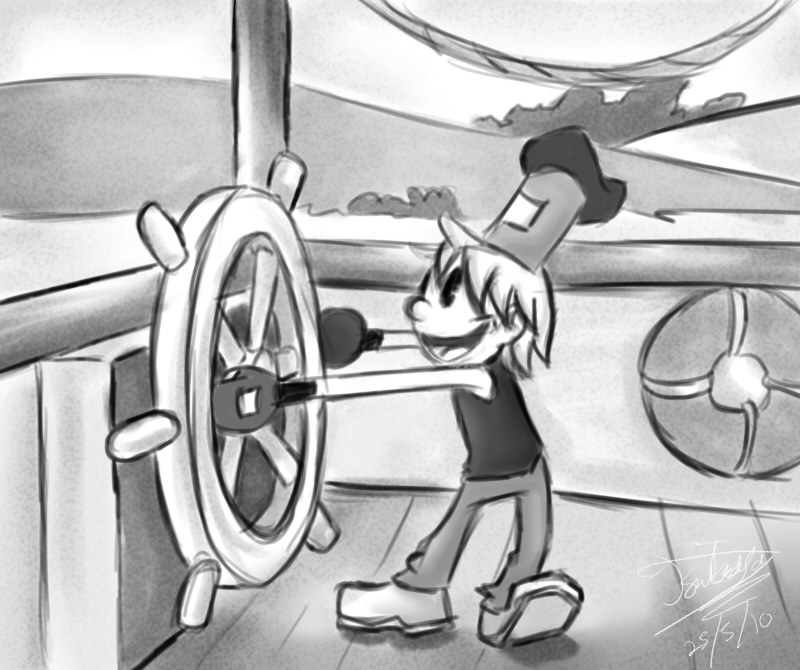 Well you never know I might’ve started a craze for Steamboat-style images as DeviantArtist TsukasaKazeryou has come up with this really cool image of “Steamboat Bentley”.